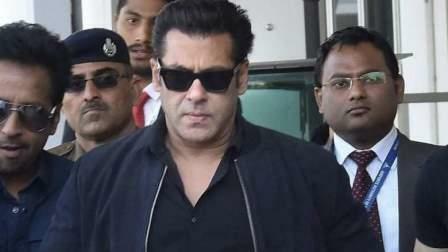 Filmmaker Remo D'souza along with the team of "Race 3" has reached here for the final shooting schedule of the film, saying the last scene will be "one hell of a ride". The director also teased his fans and followers on Instagram on Sunday, saying he will soon release something "special" related to the movie. "Here we are for the last lap in Abu Dhabi. It is a #RaceToFinishLine. It is going to be one hell of a ride," Remo posted on Sunday. "Wish us luck guys and there is something special coming your way soon. #Race3 #Eid2018," added the director, who also shared an image of a clapboard with a swanky yellow car in the background. "Race 3" stars Salman Khan, Bobby Deol, Jacqueline Fernandez, Daisy Shah, Saqib Saleem and Anil Kapoor. Co-presented by Tips Films and Salman Khan Films, "Race 3" is produced by Ramesh S. Taurani. Shot in Bangkok and Mumbai along with Abu Dhabi, the third instalment of the "Race" franchise is slated to release in June around Eid this year.